Published 29/01/2015 at 3573 × 2683 in Catching up…. 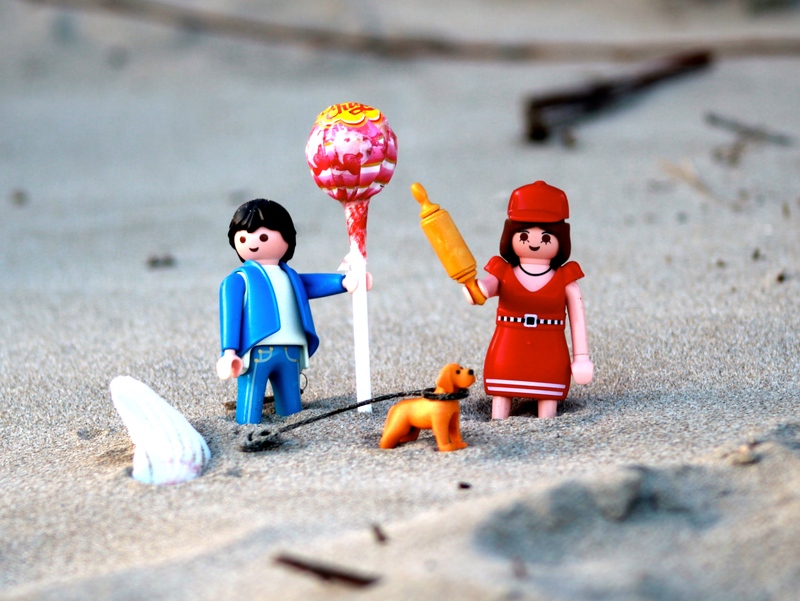 Mr Playmo had sent a crypted message to Mrs Playmo: “Meet you on the beach. Choose your weapon carefully”. When he turned up with a lollipop and said something about sweetening up baddies before hitting them over the head, a bell rang in Mrs P’s mind. A danger bell.